Is it correct that you don't have to apply as much physical sunscreen as chemical? A well-known dermatologist says the recommended 1/4 tsp on face and 1/4 tsp for the neck isn't applicable for physical sunscreen and you don't have to use that much to get the proper protection. I've never seen any data that suggests this is true. All sunscreens require a relatively thick coating to ensure appropriate protection. Skimping on how much you apply is not a good idea. Having said that, if you have a link to where you saw this I'd be glad to try to check the dermatologist's source. Thanks! 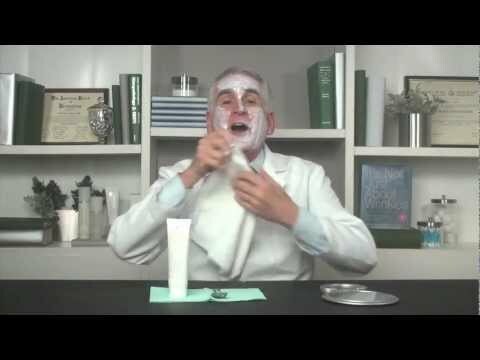 It was Dr. Neil Schultz on Derm TV but I can't find the original video where he says how much less you can use, but I seem to recall he said you can use half as much physical sunscreen as chemical. Thanks for the video although it really bugs me that he refers to mineral sunscreens as "chem-free.". His point is that mineral sunscreens are micronized so that the particles are so small that a given number of particles will cover a larger amount of surface area. That much is certainly true. But it seems to me proper coverage also depends on the exact concentration of the mineral sunscreen active and the spreadability of the formula. In the video, he says "on the basis of personal experience and the use of chem free sunscreens by many thousands of patients, using less chem free than traditional carbon based sunscreens still results in the effective sun protection as well as a cosmetically acceptable experience." I certainly respect his opinion as a professional but his personal experience and the uncontrolled observation of patients still sounds like anecdotal data to me. This MAY be true but I still can't find any credible source that backs this up so I'm very skeptical. If I come across more info I'll let you know. BTW, this might make an interesting discussion for our podcast. Would you be interested in recording your original question as a sound file (on your phone or computer) and emailing it to me at thebeautybrains@gmail.com? Yeah, the "chew-free" thing is really annoying. I will say, you have to use the amount of sunscreen that you'll be willing to wear every day. His point is well taken that you don't want to use so much zinc oxide that it's cosmetically unacceptable, or you just won't wear it at all. I get around this by using a tinted version so I can use it a bit more generously and it still doesn't show up. "chem-free," not "chew free." Lol. To be fair, I've never had to chew a sunscreen.